diverse aspects of Lawrence’s life, in the historic surroundings of Oxford, with all its many associations with Lawrence. 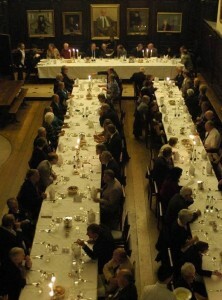 privilege of living and dining in one of Oxford’s celebrated historic colleges. 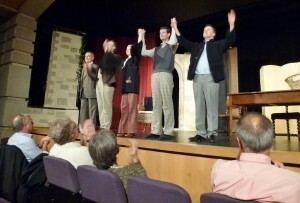 regarded writers and academics, as well as members of the Society sharing their own knowledge and researches. Symposia often include visits to places with a Lawrence connection, and special exhibitions. 2018 sees us linking up with Magdalen College, who will present a unique exhibition of the expanding archives on Lawrence. We also have a whole afternoon devoted to Gertrude Bell and her friendship with Lawrence, together with her influence on the Middle East. The directors of the film Letters from Baghdad will present and talk about the making of this fascinating documentary. The Gertrude Bell archive director from Newcastle University will also talk about the massive collection held there. Our 2016 Symposium at St John’s College coincided with the centenary of the outbreak of the Arab Revolt, and a special programme of lectures was organised to mark the occasion. Our 2018 Symposium will see us commemorating of the taking of Damascus in 1918.
diary and don’t miss out! The programme for the 2018 Symposium can be viewed HERE. 2) Email the completed Booking Form to the SYMPOSIUM ORGANISER and make your payment by using the Buy Now button below through Paypal. Once again, Society members can support our Symposium in an interesting and personal way. You can help encourage new research, share Lawrence studies with a wider audience and strengthen your links with the Society. Even if you’re not able to attend the weekend in person, you can still make a difference and show your support for our major event. You can sponsor the Symposium in a number of ways, anonymously or named, to reflect your own interests and circumstances. Donate £25 and have your name in the list of Patrons in the Symposium Programme. Donate £100, choose your lecture and your name will be listed as a session sponsor in the Programme. For a donation of £250, you will be acknowledged on the front page as the programme sponsor. 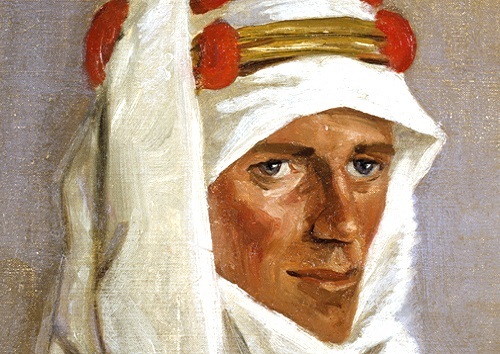 If you wish to sponsor the Symposium with a major donation of £3500, you will be acknowledged on the front cover of the Symposium programme and given a page of the programme to express and share your own interest in T E Lawrence. A summary of programmes from each of the past Symposia can be viewed HERE.